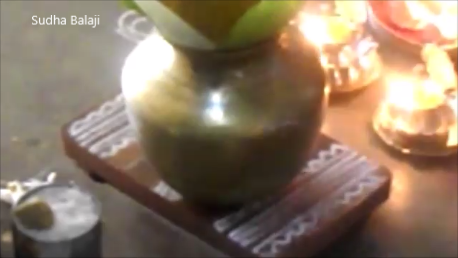 It is a tradition to decorate with kaavi. 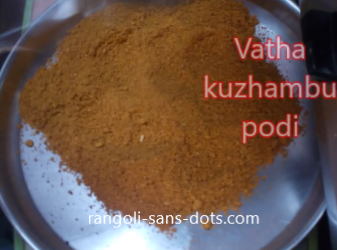 We get kaavi or ochre powder. 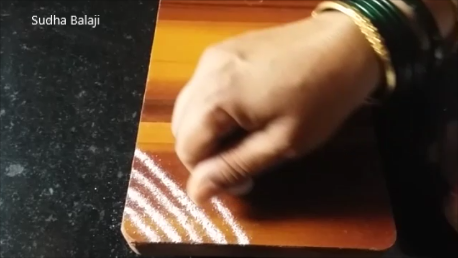 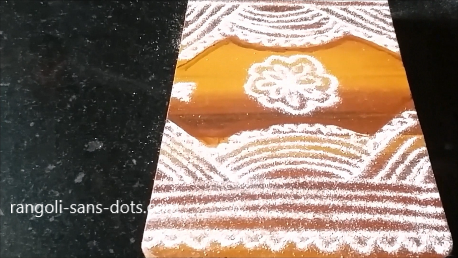 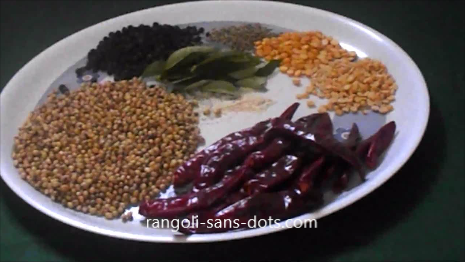 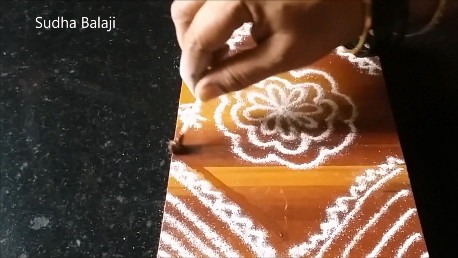 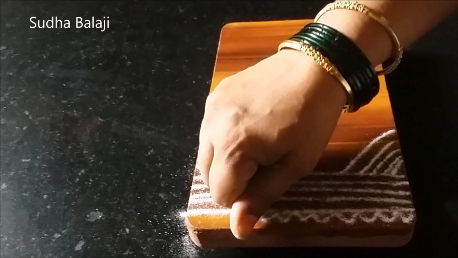 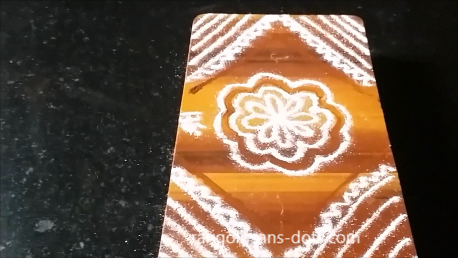 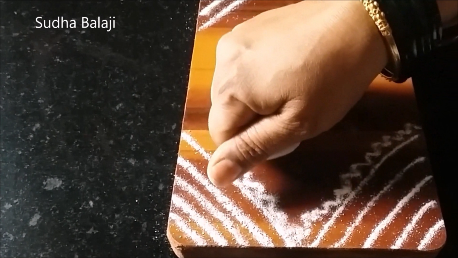 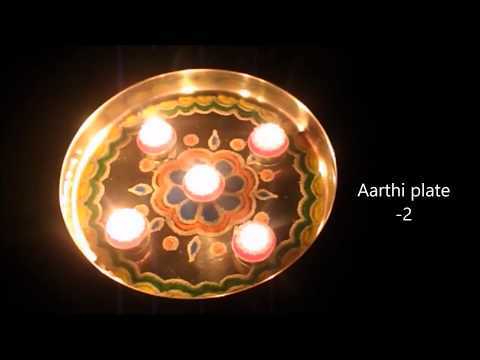 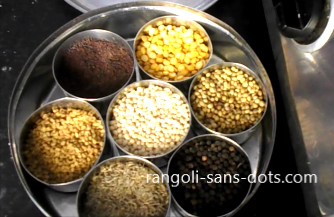 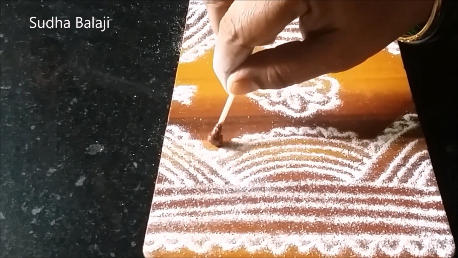 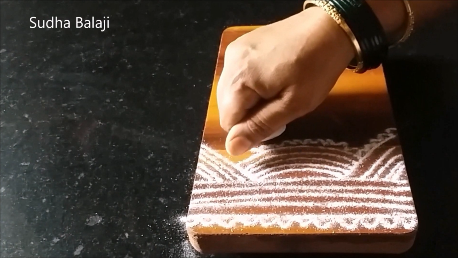 It is mixed in water to get a thin paste that can be applied as a border for the kolam. 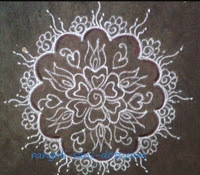 When such kolam are drawn at the entrance of a house it indicates that there is an auspicious function inside the house. 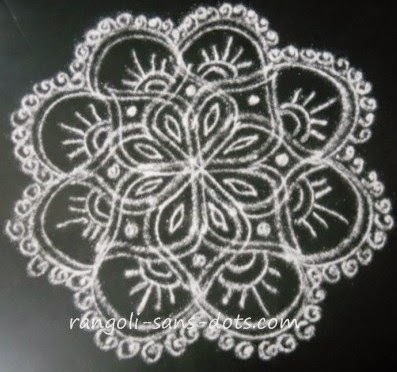 The small and easy manai kolam after completion. 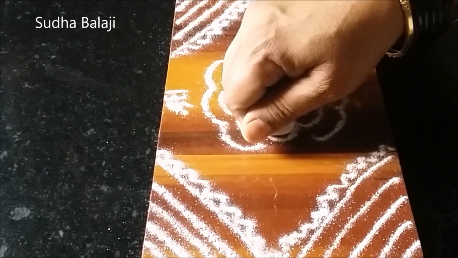 Draw straight and curved lines on either side and then the neli ezhai. 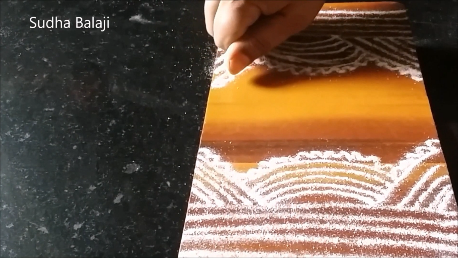 After decorating both sides of the manai with these patterns the central pattern is filled with a simple free hand design and the auspicious words "Om Sri". 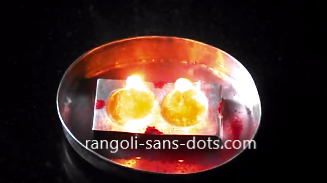 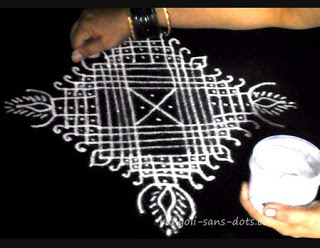 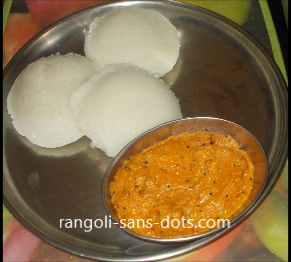 It is not in tradition to draw a sikku kolam for these type of kolangal.